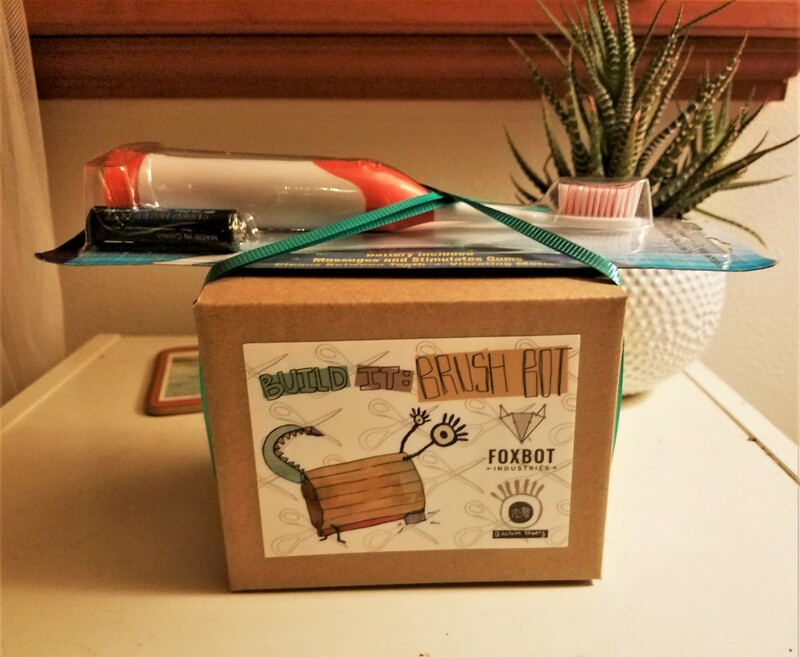 Ballard Pediatric Dentistry recently formed a partnership with Jen Fox and Foxbot Industries to bring Brush Bots to our community. What exactly are Brush Bots, you ask? Dismantle an electric toothbrush and use the contents to build your very own Brush Bot, the simplest type of robot. Find inspiration from nature and your imagination, build multiple variations, and challenge yourself to build a switch so you can control when your robot is on and off. This amazing learning experience kit will be available to win during our costume contest October 31 10am – 4pm. 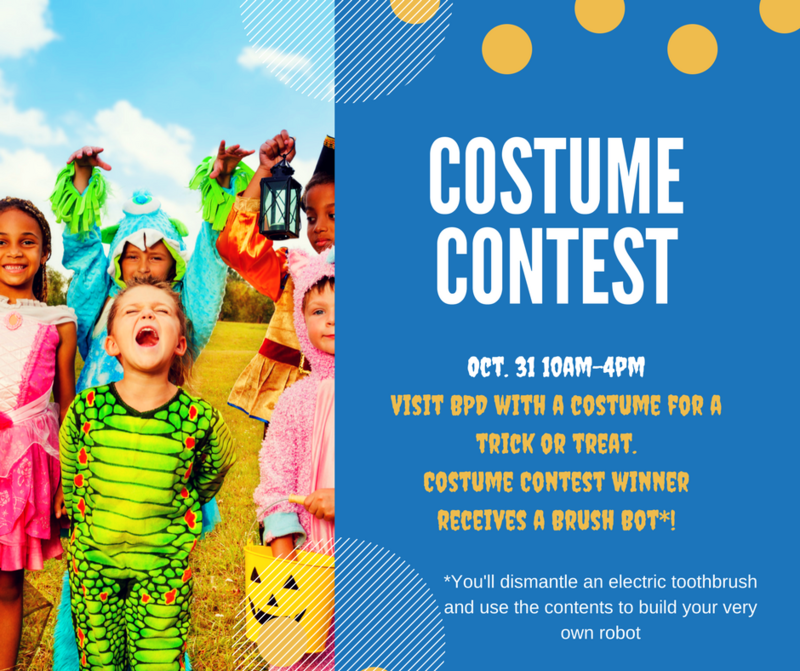 Bring the kids to our office with their costume to enter. Our mission is to educate and empower women and girls in Science-Technology-Engineering-Mathematics (“STEM”) fields through project-based learning and design thinking. We believe that education is the key to a successful, equitable, and progressive society. The more we know, the more problems we can solve and the better we can solve them! Our goal is to teach our students critical thinking and problem-solving skills alongside practical, career-ready skills in STEM fields. We promote and advocate for: equal protection and education for all persons; environmental conservation and protection; and reduction of consumption and waste. Our current and past clients include SparkFun Industries, the Living Computers: Museum & Labs, the Pacific Science Center, and NCCE. Innovative, useful, and fun project and tool tutorials! Take a look around our website to check out our projects and activities, or get added to our mailing list to stay up-to-date with our projects and workshops! Our current and past clients include SparkFun Electronics, the Living Computers: Museum & Labs, the Pacific Science Center, and NCCE. Jen Fox is an engineer, a maker, and an educator. 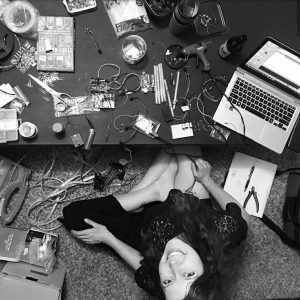 After dabbling in dark matter (B.S., Physics, Occidental College), Fox settled into engineering (M.S., Mechanical Engineering, UCLA) with a blend of inventing and education, leading her to found FoxBot Industries in mid-2015. Fox’s research contributions in physics are published in multiple journals, including Astroparticle Physics, the Journal of Instrumentation, and Nuclear Instruments and Methods in Physics Research. Fox’s engineering expertise includes renewable energy technology, embedded systems, and mechanics. She has taught STEM subjects to thousands of students in every setting imaginable, from week-long maker camps for kids to university physics courses at UCLA. Fox’s work through FoxBot Industries has been featured by SparkFun Electronics, Adafruit Industries, Make: Media, Living Computers: Museum + Labs, Instructables, HackaDay, IEEE, and the Pacific Science Center.